Because this course will focus on manuscripts in both Hebrew and Greek, it should be very appealing even if you are primarily interested in textual studies of the Hebrew Bible, rather than the Septuagint. Plus, you might be able to get course credits for it. 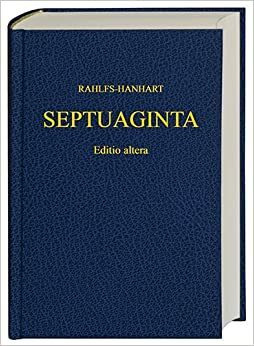 I have brought this up several times in the past, but graduate courses focused upon Septuagint studies are unfortunately quite rare, making it very difficult for interested students to get oriented to the discipline by means of direct instruction. These are rarer still if you only count courses taught by scholars who themselves were trained in the discipline and are currently active in the guild. Personally, I’m thrilled to see this opportunity at the Universität Salzburg and hope they continue to offer it annually. Aside: Two other courses like this happen occasionally, one at Trinity Western University’s John William Wevers Institute for Septuagint Studies (see here) and another at the Septuaginta-Unternehmen at the Universität Göttingen (see here). This summer school will be taught by Dr. Kristin De Troyer. Not only is Dr Troyer a very well respected scholar in the Septuagint community, she is also a recognized textual critic who specializes in the Historical Books. So she will make a sure guide for this interesting and intricate subject matter. Scholars have long recognized the complexity of the textual history of Esther. In almost every verse of the book the Hebrew and Greek texts differ by a word, a clause, or even whole phrases. And it is unclear whether this is the result of a different Vorlage (the Hebrew source text translated), a translator taking liberties (the Greek of Esther is fairly expansive), or the result of textual transmission and revision in Greek. Plus there is the major issue of the so-called “Additions to Esther.” These constitute six long portions (labelled as Sections A-F) of over a hundred verses of text that do not appear in the Masoretic Text (MT), nearly doubling the length of the book. Just as intriguing to Septuagint scholars, the book of Esther was translated into fairly idiomatic Greek with a style not strictly adherent to the Hebrew syntax of the MT. In other words, Esther was translated into conventional Greek with relatively less concern to mimic the underlying grammatical structure than many other books in the Greek Old Testament. Along these lines, the two royal edicts in Additions B and E constitute some of the most literary Greek found in the Septuagint. There is still uncertainty with regard to whether these (and the other) Additions constitute original Greek compositions, or rather preserve a translation of a now-lost Hebrew text. Moreover, LXX-Esther has a rich array of vocabulary and apparent neologisms awaiting fresh study. 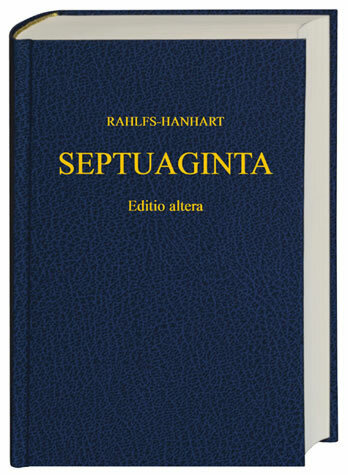 If you are intrigued by Septuagint scholarship – plus good chocolate and hiking for that matter – then you should give serious consideration to applying for this course.